Reds and oranges are often colors I like to play with, but I was really looking to create a piece with a strong counterpoint to all those warm colors. 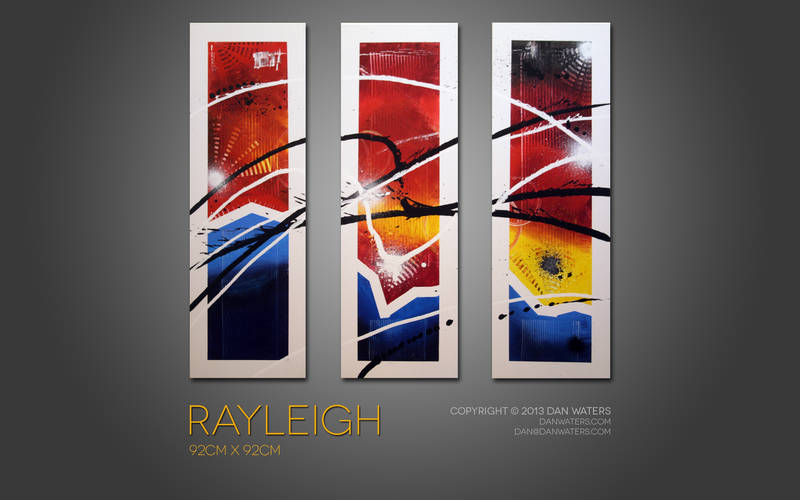 Rayleigh accomplishes that, and it is also very large on high quality canvas. There are elements of this painting which are a bit more abstract, or perhaps minimalist is a better word, than my usual work.